Part of our CSA share was a bunch of kale. 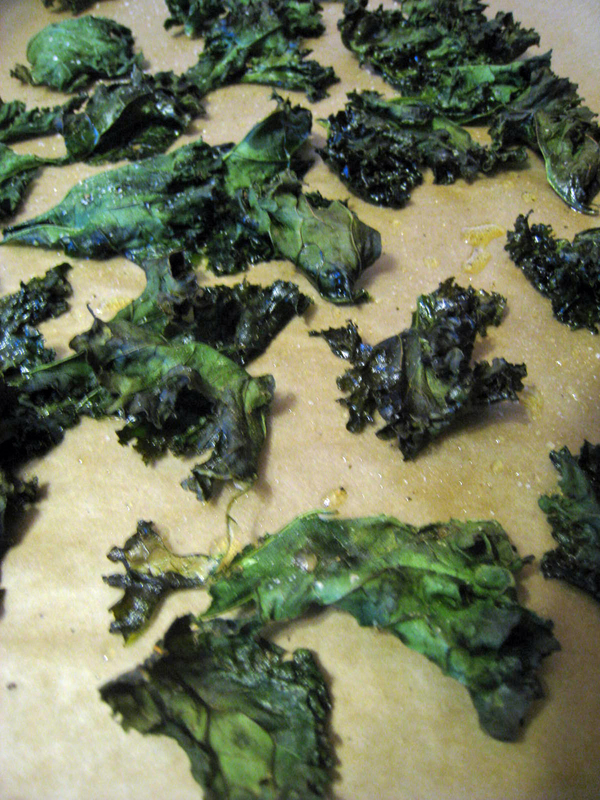 I’ve only used kale in soup before but had been seeing a ton of people making kale chips. I figure it wasn’t hard and it might be a more healthy snack for Madeline. I was right. She loved them! I’ll definitely be making them again and can’t wait to experiment with different seasonings. Wash and fully dry the kale. Remove the stems and rip the leaves into smaller pieces. Lay them flat on a parchment-lined baking sheet (I’m all about easy cleanup!). Sprinkle with olive oil and mix around to coat all pieces. Season with salt and pepper (or any other seasoning). Bake for 12 to 14 minutes at 350 degrees.